MASSIVE news! The Scottish rock band Franz Ferdinand are back with their first album in 5 years, and they’re bringing it LIVE to The Wiltern on Tuesday 15th May 2018 for a show that will blow you away! Known for their high-energy live performances, Franz Ferdinand will guarantee a show you’ll never forget – grab your tickets NOW while they last! Franz Ferdinand are back with their new album “Always Ascending” the successor to 2013’s “Right Thoughts, Right Words, Right Action”. In addition, it will be the first album to feature new band members Dino Bardot and Julian Corrie. The album is due out February 9th – giving fans just the right amount of time to get totally familiar with the tracks before the show! What are you waiting for?? 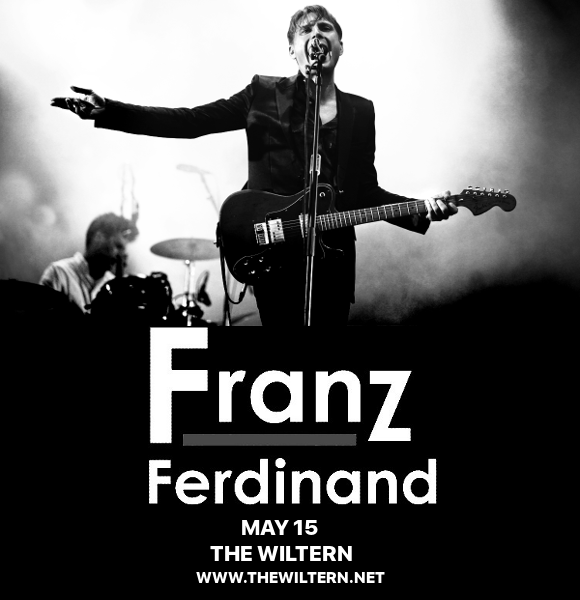 Get your tickets to see Franz Ferdinand at The Wiltern on May 15th, 2018 today – while you still can! !